Six vintage motorbikes were stolen from a garage in West Wittering over night, police have said. Chichester Police have released images of similar motorcycles in an appeal to the public for information. 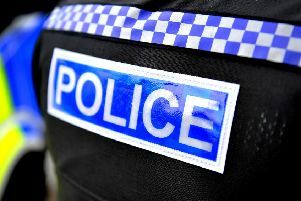 Posting on Facebook, Chichester Police said: "Can you help us locate some stolen motorbikes from West Wittering? Six motorbikes were stolen from a garage in Redlands Lane, West Witteriing between 6pm on February 25 and 7am on February 26." The motorbike stolen include a KTM 495 in White (made in 1981), Maico 490 in Red (made in 1981), Maico 400 in Red and Silver (made in 1977), Beta 300 Evo 2013 Trial Bike, Husaberg 390 (made in 2011), Gas Gas 300 Euduvo. Anyone with any information is urged to contact police on 101 quoting reference 0177 26/2.